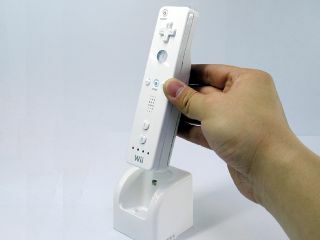 The company that is suing Nintendo for alleged infringements of its wireless motion sensing patents in the Wii revealed today that Kodak is already using the technology. The photo giant's Theatre HD Player media streamer uses Hillcrest Lab's Freespace motion-control technology and HoME display technology to let users browse their media collection from a built-in hard drive or streamed wirelessly (802.11n) from their PC. The Freespace/HoME combination, which impressed TechRadar immensely when we played with it at CES, allows users to navigate a 3D graphical interface smoothly without the RSI-inducing twinges of a mouse or the incessant button-pushing of a traditional remote. A couple of weeks ago, Hillcrest Labs decided that the wireless remote shipping with Nintendo's Wii was too similar to Freespace and announced that it was taking legal action to force the US International Trade Commission to ban imports of the Wii. Nintendo appears unconcerned about the action interfering with its pre-Christmas sales. Its latest press release is all about Bags to Riches, a US designer handbag rental service (who even knew there was such a thing?) that will be including a Nintendo DS with high-end rentals for the rest of 2008. Now that is playing it cool.